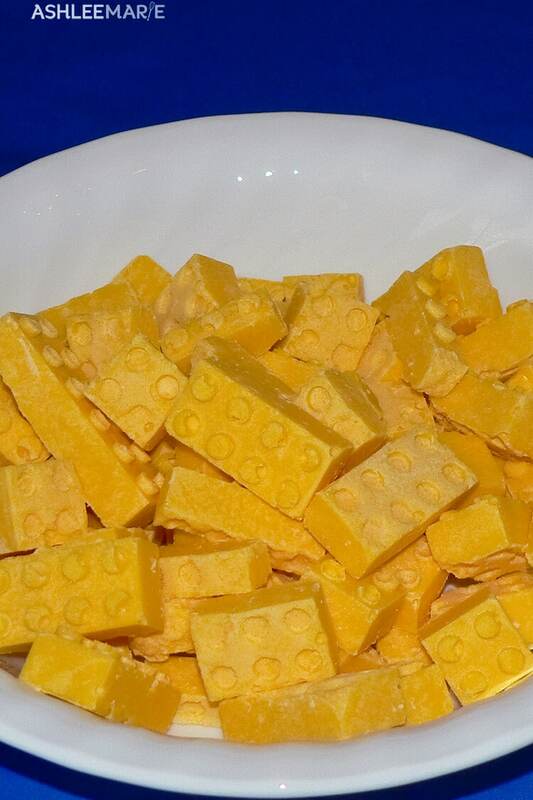 One of the last treats for the Lego Birthday party were these chocolate lego’s made with this homemade silicone mold. I made three different candies using the mold. This one was the least successful, the candy melts. They broke and cracked when I tried to take them out. I think if maybe I un-molded them sooner, before the chocolate got so hard? I covered the mold with the large lego plate to give the bottom of the candies the Lego indent so they are stack-able, but it made the chocolates break when I took it off so next time I wouldn’t do it. Good news is the kids loved them and they were gone fast! Make sure you use a high quality candy wafer for best results! 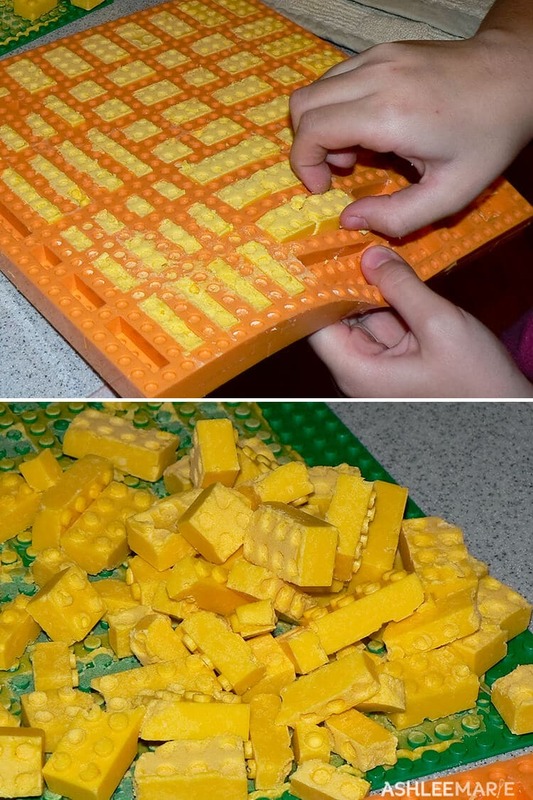 Hi, i want to buy some lego molds , where I can buy some? you can give me some information?